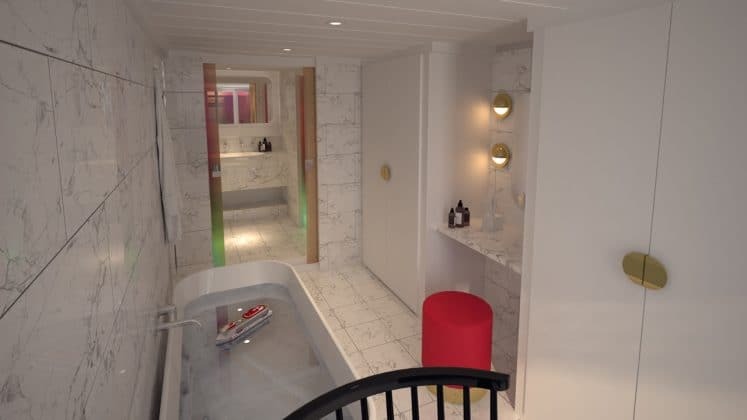 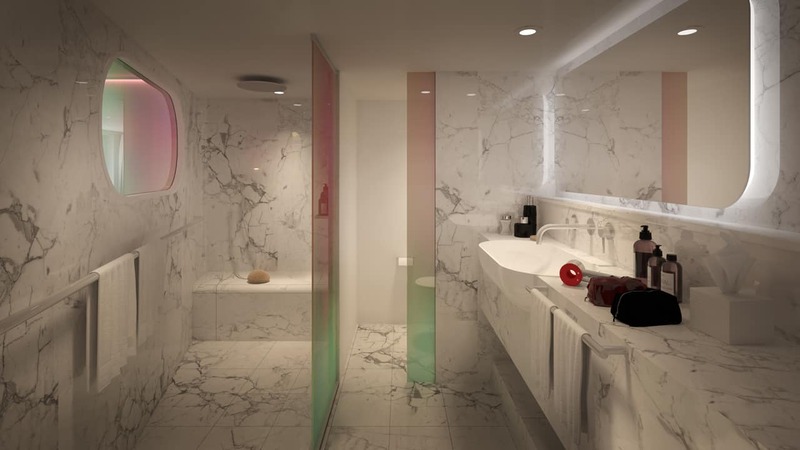 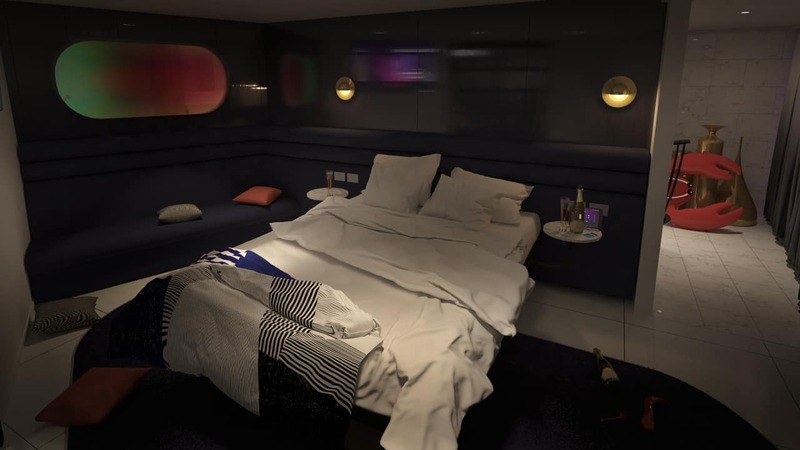 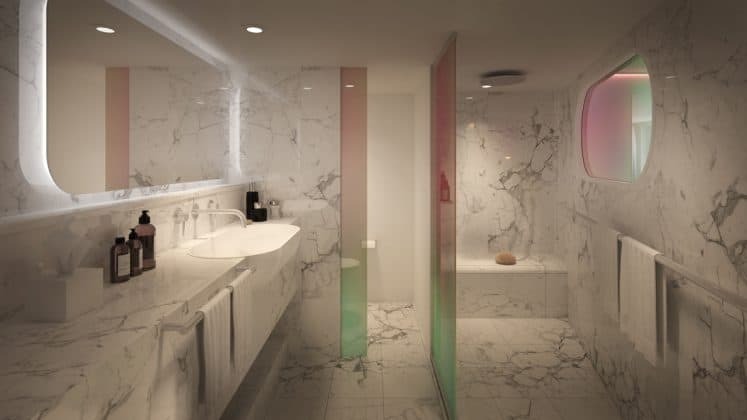 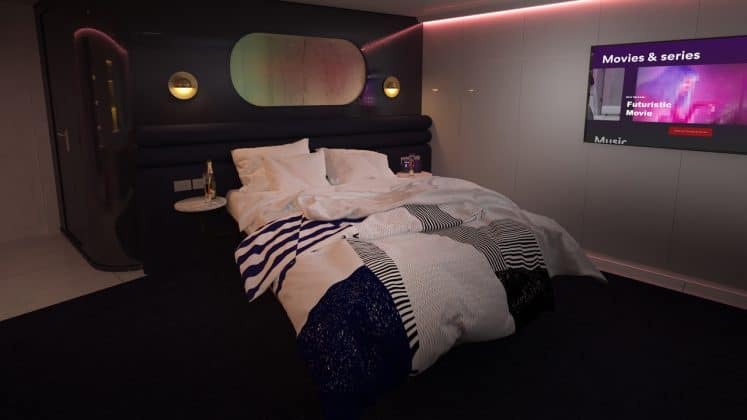 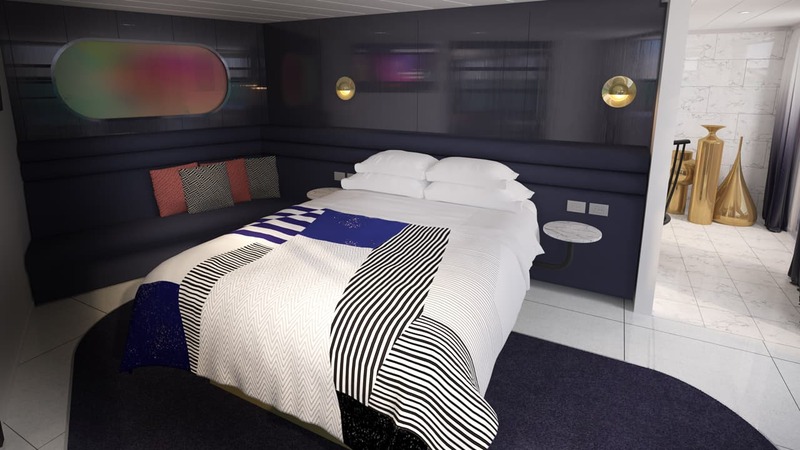 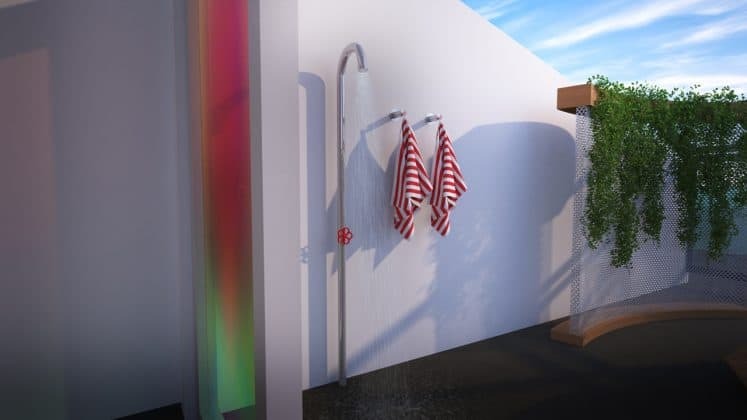 Virgin Voyages which will welcome ship number one named Scarlet Lady in 2020 has unveiled what the suites will look like. New renderings have been released which we are sharing with Cruise Hive readers. 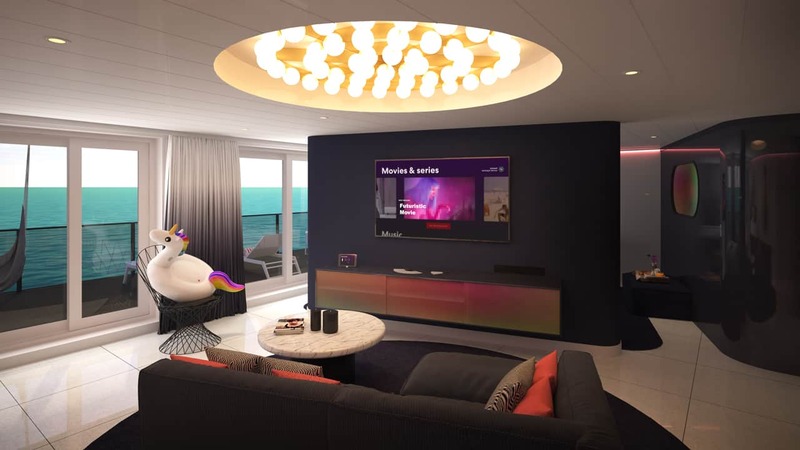 Excitement continues to build for Scarlet Lady, the first ever Virgin Voyages cruise ship. 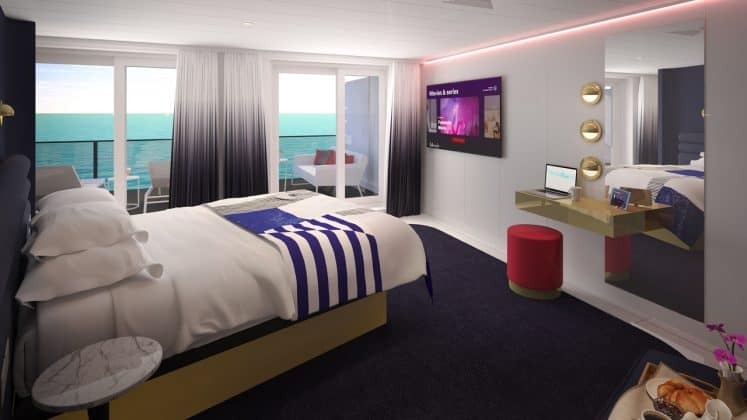 The ship isn’t arriving until 2020 but the cruise line keeps releasing ship teases. 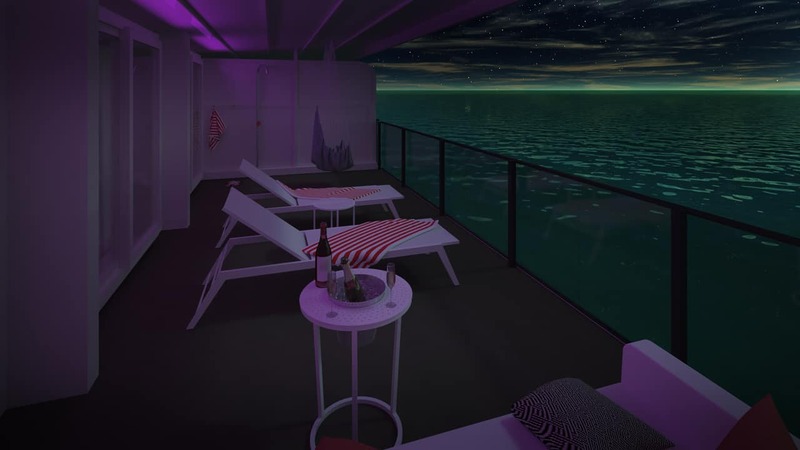 We’ve been treated with new renderings of the RockStar suites which will be featured on Scarlet Lady. 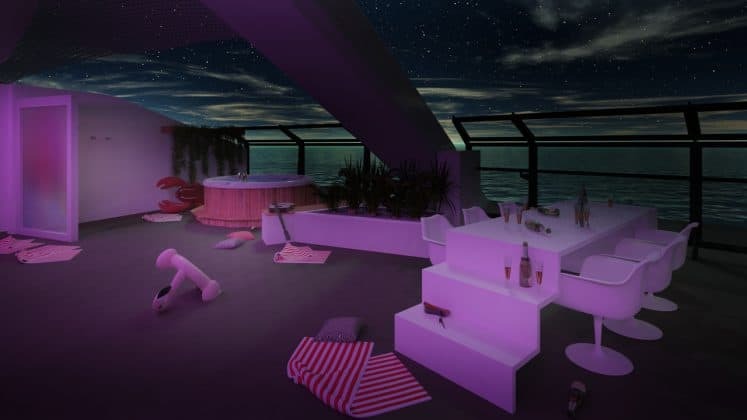 There will be 78 of these stunning RockStar suites along with fifteen Mega RockStar suites named Massive, Fab, Posh and Gorgeous. they are all primary located on deck 15. 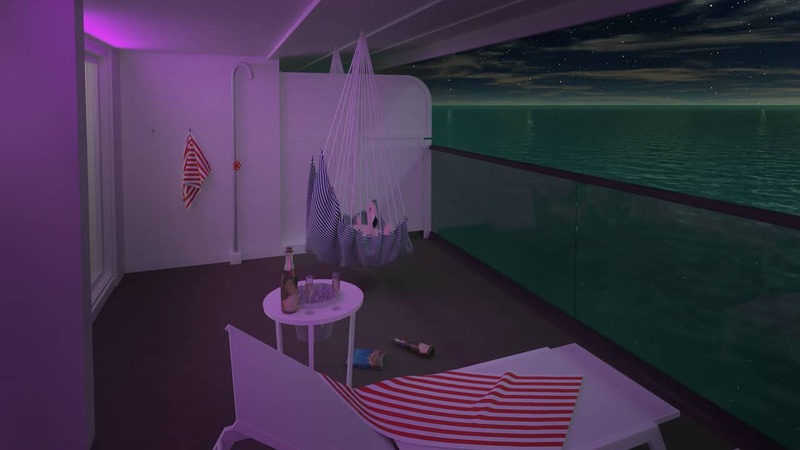 The sites will be located below Richard’s Rooftop, a Rochard Branson inspired cocktail lounge area located towards the front of the ship. 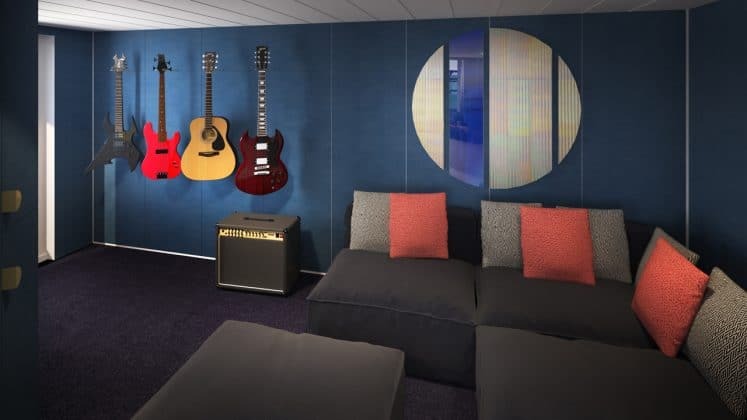 All RockStar suite is going to offer an amazing cruise experience and guests are going to enjoy pure luxury in the Virgin style. 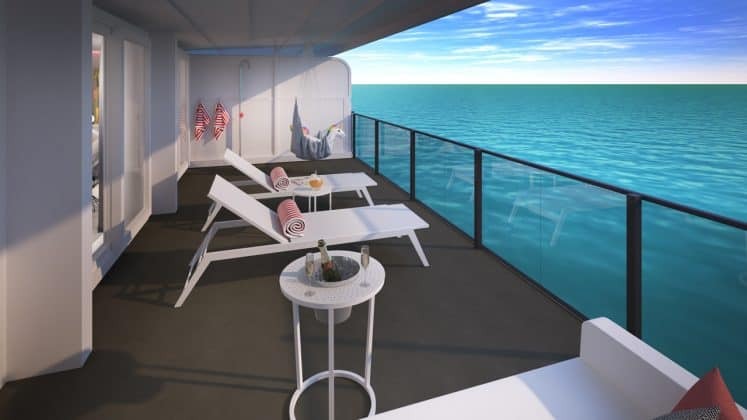 There will be marble finishings and high-end decor with stunning balconies that look out to the ocean. 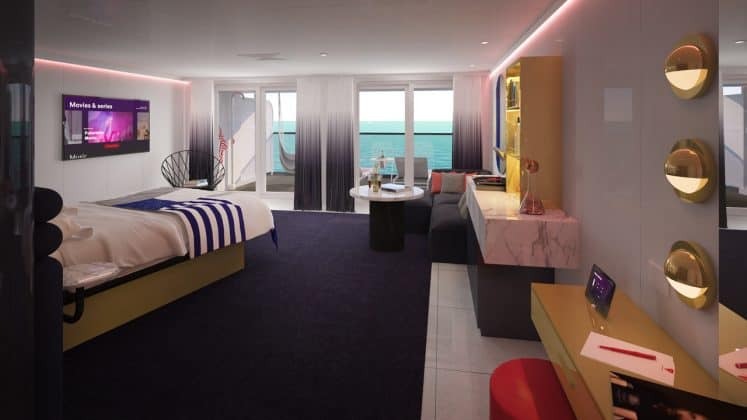 All those booked in the suites will also receive an exclusive rockstar treatment with a private driver airport transfer, helicopter arrangements, Luggage assistance and even a special private path arrival at the cruise terminal. 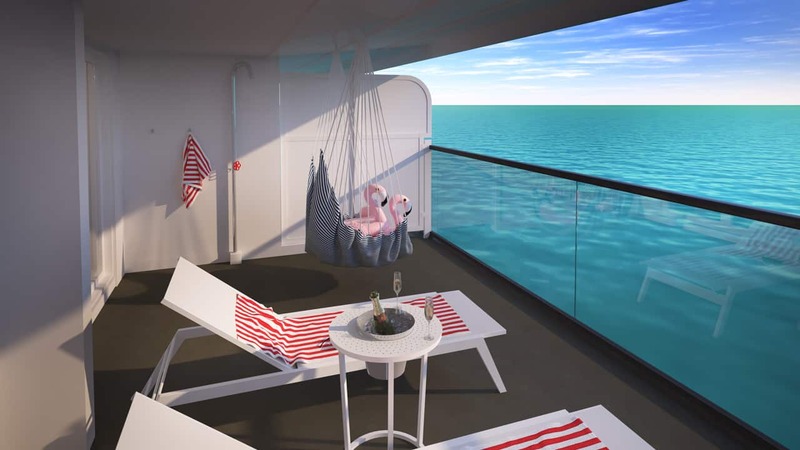 Vorgon Voyages is also offering anytime embarkation and early access to any bookings during the voyage. 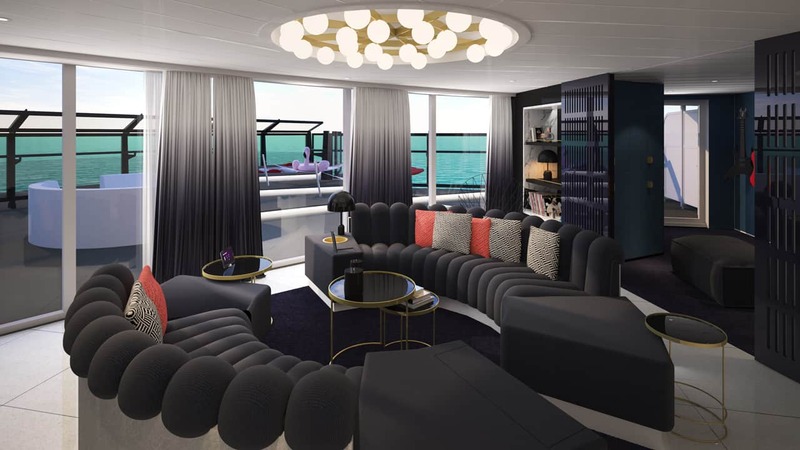 Scarlet Lady will debut in Miami, Florida in 2020 with week-long Caribbean cruises. Some itineraries will also include extended stays at Havana, Cuba. 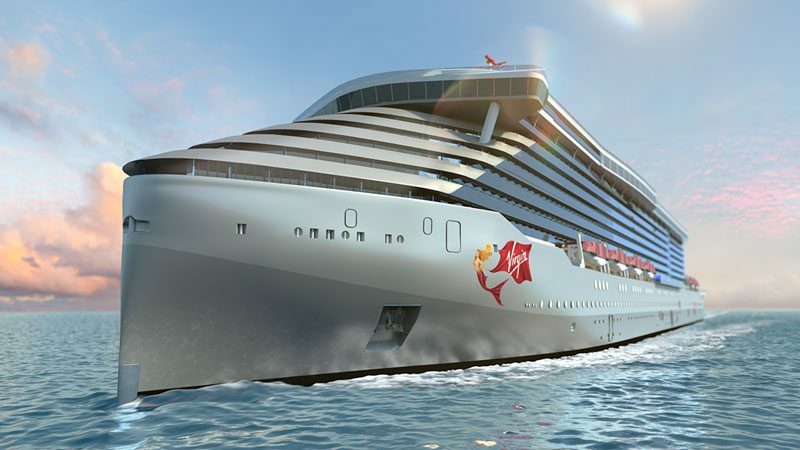 the 110,000-ton ship is currently under construction at the Fincantieri shipyard in Genoa, Italy.